Are you struggling with increasing volumes of orders to maintain revenues without increasing costs? Today, distributors and manufacturers are faced with supply chain pressures like compliance and delivery. WiSys Agility allows you to process higher volumes of Macola transactions in spreadsheet style process grids that replace the traditional heads down, screen by screen Macola data entry. Agility Explorer is both an analytical tool to help monitor data and a transactional tool that can act on that data. This business intelligence tool for Macola will help turn data into information and knowledge. If you have Progression, Macola ES or Macola 10, it can also allow you to perform transactions without actually going into traditional Macola menus. For example, you can review purchase orders and then receive on multiple purchase orders or confirm ship multiple customer orders. Agility Explorer has the power to make your company far more efficient and productive by applying easy to construct components. Upper management users can utilize Business Intelligence Dashboard components and spreadsheet style grid components to monitor activity levels. Operational users can use Process Grid components to perform their jobs more quickly and efficiently. Using grids for viewing and processing transactions is very effective and Agility Explorer excels in this area. WiSys Agility Automation allows Macola users to process higher volumes of transactions in spreadsheet style grids without going into traditional Macola menus. It is designed to help link Macola process, see more relevant information and take action more quickly. You can filter and sort Macola data, group similar items and execute on all items at the same time. The following automation applications are provided with WiSys Agility. This spreadsheet style grid allows you to bill multiple orders all at once. Enter the freight amount, miscellaneous amount and Cmt’s. 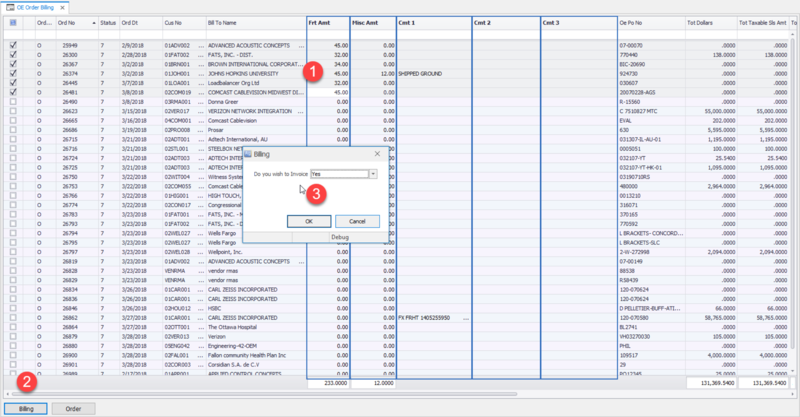 Press the Bill button and an option screen allows you to bill, invoice and print an invoice. Select yes or no to invoice and all orders are processed. Agility can help manage your inventory using streamlined views of full inventory data from one screen, serial and lot traceability, full PO receiving with one checkbox, PO line close and PO receiver to create AP voucher for Macola. Agility provides real-time data for critical decision-making with drill-down functionality into grids, giving you full details and transactional processing. The following reporting applications are provided with WiSys Agility. Agility helps streamline Macola Order Entry by removing and improving redundant processes. This saves hours of time and thousands of dollars each day, allowing employees to focus on more important tasks. Enter your filter criteria, such as date range. Select the order status you want to see, such as all in process orders. Further filter if needed on your own column filters. Agility Reports can be filtered so you can drill deep into data. In the inventory location master list, all columns from the inventory master and inventory location are available. 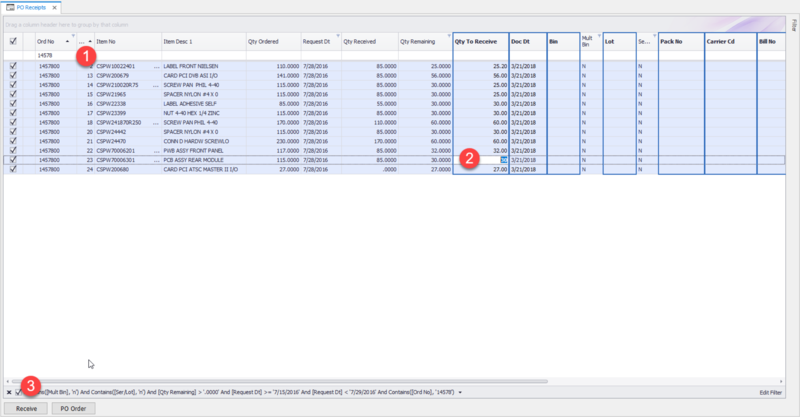 You can filter on each column, like the multi bin flag and the purchase or manufacturing columns. Then drill into open PO’s and drill again to see the PO. On each screen you continue to have more options to drill into your data. WiSys Agility includes Analytic dashboards with drill capability. Real-time business analytics provides quick visual data with full detail and drill-down capability about information that is important to your business. The following analytics applications are provided with WiSys Agility. The included AR dashboard lets you see receivables as well as AR turn. Just click on your criteria and the list dynamically adjusts to show only the selected criteria. From there just drill into the information. In the example below, we are filtering by the less than 30 category and just looking at customers in the pie chart to print and e-mail an invoice to a customer.